133 registered members (AnnInMiami, ADWyatt, Akaitsuki, alexk3954, anamnesis, agraffe, Animisha, anotherscott, 36 invisible), 1,245 guests, and 5 spiders. Mr. Schell recently launched his pianos in South Africa with a concert in Pretoria. He was there at the launch to promote the pianos. Despite whatever name is on them, it was the lack of bass which Del speaks of, and sustainable notes, which were the most obvious on this one occasion I heard and tried it. The price was close to the Kawai. Many thanks for the comments. I will most probably go for the Kawai, or a used Bechstein which I saw. I will also investigate the humidity. A Lothar Schell priced the same as a Kawai is a royal ripoff. He didn't design anything - it's just a Dongbhei piano with his private label on it. If you're comparing it with an RX2, a 5'10" piano, then I would assume the Lothar Schell is a 6' model, in which case you should be able to buy 2 Lothar Schells for the price of a new RX2. Maybe 3. - it's just a Dongbhei piano with his private label on it. There may be multiple sources for these pianos but those I saw were not being built by Dongbhei. It was a factory just outside of Beijing. The last years of Joe Preamberger's life he lived on Savannah, Ga not far from my piano shop,(the economy got me). He was a fine engineer and a good friend. He will be truely missed. He never claimed to be German. He never claimed German engineering experience. He only did his job making the Young Chang better and enjoyed every minute of it. I do not consider the Pramberger line by Young Chang to be "stencil" pianos. Joe Pramberger spent a great deal of time in Korea working with the factory on the design and development of this piano line. He worked hard on them and they bear his imprint and his ideas. It is entirely appropriate to name the line after him. It is also appropriate for any manufacturer to come up with whatever brand names it wishes to distinguish its various model lines. Automakers do it all the time as do the manufacturers of many other product lines. 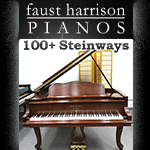 As I have said before, Steinway � with one of the most effective marketing organizations to be found in the piano industry � deserves much credit for naming their Boston and Essex pianos lines as they have. Neither name claims credit for a heritage that it did not earn. They simply distinguish various product lines within the companies overall product mix. It is inappropriate, in my opinion, to apply a brand name that still carries a certain amount of prestige based on its original design, manufacture and performance to a piano of completely unrelated design, manufacture and performance (regardless of where it is built) yet claiming to posses all of the century-old heritage of the original. Even though some of these efforts are able to claim the use of some of the �original machines� and some of the �original designs� so much has been lost in the translation that to compare the current production with the original is a travesty. The real problem goes beyond this, though. It is the heritage that is being claimed, not just the product line and I�ve heard more than one dealer passing these pianos off as the real thing to unsuspecting buyers. It's nice to see that Del and others are always able to bring sanity back into these discussions. And especially those "arrogant Germans" must have left an indelible impression on you from some earlier encounters before...perhaps? Did that gorgeous blonde that used to spank your bum eventually leave you? And you also seem to be a true master of graveyard descecration! Now go back and chop some more wood. Or I'll send my big arrogant German sister to show you!! SWF, 32. I pull *big* plow. lb="Low Blower" wouldn't need that. With all the bashing and fighting I completly forgot what this thread was all about. Kawai vs. Lothar Shell??? GET A GRIP!!!!!! Thst is a classic case of comparing apples and oranges. The Lothar Shell isn't even close to a Kawai. Larry is right. You can buy 2 Lothar Shells for the price of one Kawai. And I would rather have one kawai than two Lothar shells. I had a dealer friend who carried Lothar Shell for a while and had trouble giving them away. He dropped the line and replaced it with Conover Cable(Samick)and has been diong fine ever since. 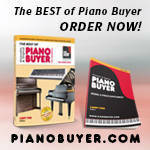 Forget the sales talk that dealer is spewing and get a quality piano if you can afford the extra cost. Agree. I especially dislike certain piano sellers/makers claiming the heritage that they do not have. Otherwise, I have no problem with people slapping whatever names or logo they want on their pianos as long as they do not violate trademark laws; and I hope people start paying more attention to actual track records than the mythical notion of heritage. Unfortunately many people play with words [often for sef-serving purposes] without due care and attention to the words' intrinsic meaning. But - as far as "heritage" is concerned - there ARE piano manufacturers that both HAVE true heritage and actually build their pianos based on exactly that. "Lothar Schell" ain't one of them. I am amazed (but glad) that my initial posting has generated such debate. Please realize that we do not know these pianos in South Africa. They are just being introduced at the moment, and of course this has caused a lot of interest, being introduced at a special concert with a leading South African pianist. 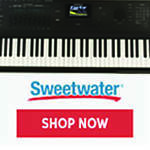 The price here is roughly the same as the Kawai � I cannot recall if the price spoken about was for their 5 ft 3 or 5 ft 6 model, and I was comparing this price to the RX2 (maybe for the RX2 price we can get a Schell with a piano stool), and the sales talk that this piano was superior to the Kawai. My first posting showed my reservations re bass and note sustainability. Thankfully there is a forum such as this where people can get other opinions, whether biased or not. This was the first time that anyone here could even see or try such a model, and I was the only one other than the professional guest pianist who sat down after the concert and tried it out. So thank you to this forum for the debate. PIANOSOO7, you are right, they are not even close in comparison. I would rather keep my upright than get the Schell � I will probably keep it anyway. I spoke about bass and sustainability; the Schell cannot match the upright KS3F�s tone either. Lothar Schell actually resides in South Africa and may have a vested interest in promoting his "own" pianos there. Obviouly you are intelligent enough to see through all of this and know which piano - at least in this case - is clearly superior! A spade is still a spade. Thanks for coming here and keep us tuned! This is just an extreme example of weasely sales tactics. I don't know of anything Lothar Schell has designed, other than his outlandish sales brochures. As for awards, I'd give him an award for BS, but that's about the only one he'd have. The pianos he's selling are stock production Chinese pianos. He didn't design a thing. All I can figure is that the truth in advertizing laws are rather lenient in South Africa. Buy the Kawai. The Lothar Schell is a far inferior instrument. I don't care what the salesman is telling people. I was called upon by the Lothar Schnell rep last night. He told me that Dongbei manufactures the Schnell and that it is really the same piano as most of the other products the factory produces. I know some lines tweak Chinese pianos to certain specifications to improve quality and to be different, but it is at this time not in the same leage as a RX Kawai. Dongbei can be a good piano at a certain price point. 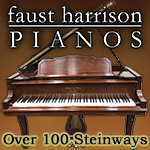 The name game gives a large maker the ability to market pianos to different dealers in the same city or State. "good-price-point" decent Chinese pianos an honourable Chinese name. After all,both Beijing and Shanghai are already one of the world's greatest tourist attractions. The LS I had tried awhile back was made by Xinghai, the same folks behind Heintzman. Apparently, Dongbei is gathering steam...and contracts. Over 1.4M (and counting) posts where pianists discuss everything. And nothing.